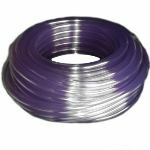 Our range of 10mm zipwire kits for installing between two trees continues with this mid range 10mm Silver zip wire kit. The Zip Wire Company understands that you might never of come across something like a zip wire before and that you might have many questions that you would like answered before you purchase one of our zip wire kits. Therefore we have put together a FAQ on zip wires which we hope will answer most of the questions you might have, but if after reading the FAQ you still have any questions, then please do not hesitate to give us a call us FREE on 0800 246 5802 where we will be more than happy to answer them.